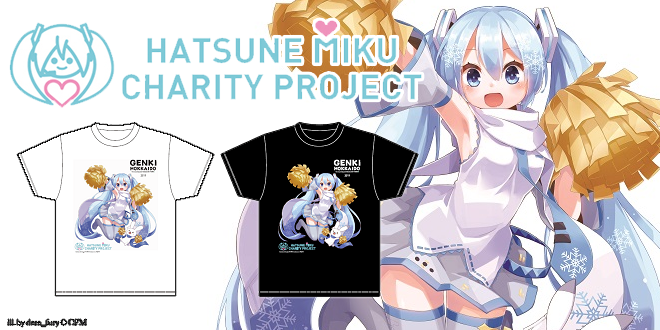 Home / News / Merchandise / Hatsune Miku Charity Project T-shirts & Locations Details Revealed! 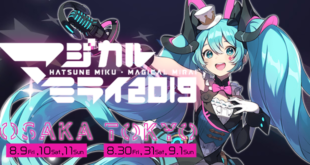 If there is something Hatsune Miku fans lose is merchandise, and it can only get better when you are also helping the community by buying them, right? Then get ready, as Hatsune Miku’s Charity Project will bring us some cute T-shirts this time, both featuring our winter diva: Snow Miku! 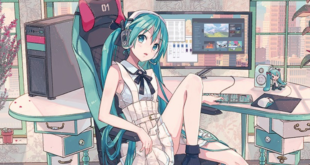 Just as they planned this back on December, Miku is ready to show her support to the Hokkaido region by selling special T-shirts and raising money. All of the funds will be then donated to the Japanese Red Cross Society, that is now offering their help to all of the victims of Hokkaido’s earthquake back in 2018. As part of this project, two t-shirts featuring dera_fury‘s illustrations have been produced. Coming in only L size and being available in two different variants (white or black), those t-shirts will be priced 1,500 JPY each and will be available in three specific different Matsuzakaya stores in a limited quantity. Shizuoka Store (White variant only) starting from April 18th to 30th. Click the store’s name and you will be redirected to its location! Each store has a limit of two t-shirts per person and there are only 350 units available for both Shizuoka and Nagoya. Ueno’s store on the other hand will only have 300 units, making the black variant a little more rare and exclusive. Since there is only a limited quantity of those t-shirts, we advice you to grab yours as soon as possible. You are also supporting a good cause after all! Follow us on VNN and our social medias to not lose any news about your favorite Virtual Singers! Previous IA & ONE Pack 2 on Groove Coaster 2: Original Style Released! 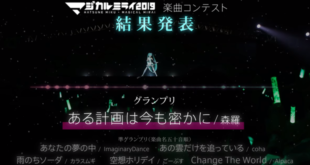 Hatsune Miku: Magical Mirai 2019 Main Visual & Theme Song!